It’s easy to blame cavities on eating too many sweets as this is something that we often say to children when they are growing up. While sugar can indeed play a part in the development of cavities, there are lots of other ways people get cavities. The more you know how it happens, the more you can prevent it, saving you money and giving you clean, healthy teeth. Here are some signs that you are likely to get cavities. Smokers are more likely to get cavities due to the large build-up of plaque and tartar caused by smoking. This will always mean you have a higher chance of developing cavities if you smoke. It is well known that sugary foods cause tooth decay, and thus cavities. That’s because tooth decay comes from bacteria in the mouth that is formed when sugary foods and drinks produce acids. These acids dissolve and eventually damage the teeth by wearing away tooth enamel and causing cavities. The bacteria that causes gum disease is different to the bacteria that causes cavities. 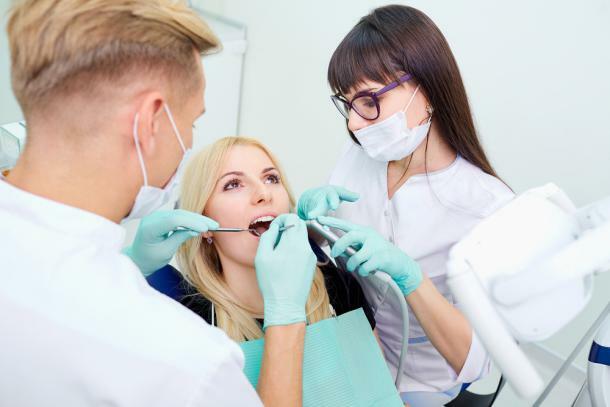 However, if you have cavities that are close to the gum, you can irritate them, causing gingivitis or a more serious case of gum disease called periodontitis. Flossing is one of the most undervalued parts of oral health routines and it should ultimately be regarded to be as important as brushing. Flossing allows you to clean between your teeth, where bacteria can very often lie. If you already have a filling and don’t floss around it, the filling can become weakened and the tooth can begin to decay due to the bacteria surrounding it. It’s definitely worth flossing regularly. While people are often encouraged to eat smaller amounts more often, snacking can increase the chance of cavities. Snacking means your mouth is continuously using its bacteria to break down food or drink. This produces acids in your mouth as part of the process, which then affects the enamel in your teeth. Eventually, your excessive snacking habit will cause you to develop cavities. · Encouraging these healthy oral hygiene habits in your family. If you’re looking for comfortable dental care and excellent results to prevent cavities, talk to Quality Dental Care. Our diligent and knowledgeable team is here to ensure you feel relaxed and welcome. For all your dental needs, contact Quality Dental Care.